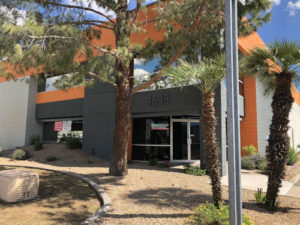 General Parts Group’s service division for the Phoenix area, located at 4633 South 36th Street, Phoenix AZ, is your one stop shop for foodservice equipment service, such as commercial oven repairs. We train and certify our technicians to be the most comprehensive experts you will find anywhere. They can handle anything in your facility from floor to ceiling. Some of the commercial appliance repairs they are certified to conduct includes: refrigeration units, commercial cooking equipment, ware-washing equipment, food preparation equipment and HVACs. Call us at (480) 214-0600 or email AZDispatch@GP-ServiceDirect.com for further information on how we can help your commercial kitchen. Installation – When it’s time for new equipment, we can install almost any commercial appliance. Feel confident buying the right appliance for your business, no matter the brand. We can install it for you. Repairs – Our factory-trained, industry-certified technicians are capable of any commercial appliance repair in your facility. This means less stress and hassle for you when things start to break or malfunction. Small appliance repairs – Our local office has a repair shop equipped for our technicians to work on small commercial kitchen appliances. When convenient for you, drop off anything small enough to carry, and we will take it from there. Service plans – One of the most valuable services we offer is our customization of routine maintenance plans. Whether it be for commercial oven any restaurant equipment repair, we take into account everything about your business and equipment to design service plans that will best protect your investments. Your equipment will last longer and work more efficiently with tailored routine maintenance. Emergency services – Food equipment service is needed at inconvenient times. It’s difficult enough to deal with non-functioning equipment; it’s even more stressful to have to wait for a repair shop to open. We are available to you 24 hours a day, all year long. Quality parts we use – We have a vast selection of O.E.M. parts that includes most major brands that support our technicians. If you are looking for a part to purchase, visit our online catalog GP-PartsDirect.com, where ground shipping is free when receiving your part at our Phoenix location. When you can schedule appointments – For installation, service, and repair, we are on your time. We offer flexible scheduling so that you don’t have to halt business for us. What if you can’t be present during the service? At your request, we will use our Automatic Status Update System to send you emails throughout our service. These will keep you updated on our progress throughout our visit. Information at your fingertips – We have created an online Customer Portal that houses account information such as service history, open orders and more. Click here to request access.